When you’re working the dating scene, it’s normal to get rejected more than a few times. But what if you’re missing more than you hit for a reason? Could you be making a subtle, but sabotaging, mistake on your first dates? Unfortunately, unlike a restaurant, your date probably won’t be leaving a review. 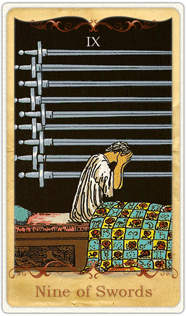 So if you’re consistently landing—and then losing—dates, the Tarot is one way to home in on the issue. My client, Aidan, was having this exact problem. He was an early-thirties, MBA-holding financial analyst living in a high-rise condo he owned in Miami. After his six-year relationship ended, he was eager to get back to playing the field, so to speak. Aidan had no trouble asking women out—in fact, he had the confidence and charm to pull off the difficult “cold approach,” where he’d score dates with total strangers. But, with a few exceptions, first dates weren’t turning into second dates. The women that did stick around usually turned out to be poor matches in a matter of weeks. 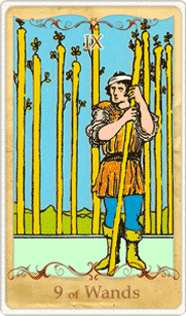 For Aidan, I instinctively leaned towards an intuitive three-card Tarot reading. He needed more information about the present, not a glimpse into the future. “The first card will represent your true emotional state,” I explained. Because dating problems are usually a reflection of our inner turmoil, it was imperative first to establish Aidan’s position in the reading. Sometimes, it is enough to begin the healing process to simply acknowledge pain. I believe this is one of the more subtle, but also most essential, services we psychic readers offer—allowing our clients the space to confront their struggles, on whatever terms they wish. I sensed that Aidan could already feel a considerable burden eased, now that I had witnessed his quiet hurt. 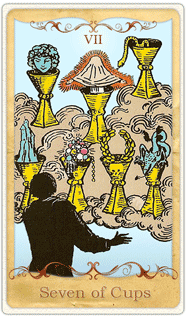 This time, I drew a much cheerier card, the Seven of Cups. Typically, this card represents visions of a limitless future. When it arrives in a career spread, it’s a pat on the back: “The world is your oyster,” it seems to exclaim. But in the present position, I gravitated towards an alternate interpretation. “Does that mean my dates find me distracted?” he asked. For Aidan, learning that his habit of dreaming big on a first date was perturbing women was a breakthrough. Before he hung up, I helped him understand that his future-oriented outlook was a result of his present discomfort. 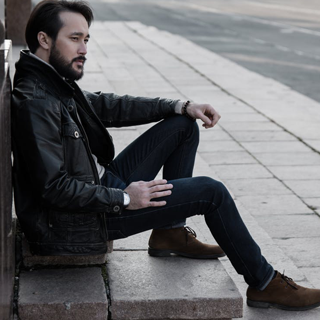 He decided that maybe he should ease off the dating for a few weeks, to give himself time and space to confront his breakup pain. Although it’s hard to learn what you’re doing wrong on a date, it’s much better to discover early on what habits could be discouraging otherwise great matches than to endure failed date after failed date. Aidan’s issue, focusing on the future instead of embracing the uncertainty of a first date, isn’t uncommon. Other people are foiled by nervous tics, a habit of dominating the conversation, insecurity, or plain old poor hygiene—all very fixable problems! So if you’re consistently finding that your most promising dates aren’t panning out, save yourself some heartache by taking a good look in the mirror. Are you having trouble keeping romance around? Advisors at KEEN.com can help you discover what positive changes you can make to invite lasting love into your life.